They have just recorded a new song Lights. It is a brilliant slice of blues for a modern generation. 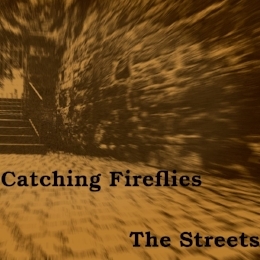 The track showcases some sweet slide guitar work by Scott and ace vocals from Kirsty. They killed it in the studio. We will let you know when it is ready to be heard. They have a lot of gigs coming up over the spring and summer and we will be posting the list very soon. They have already been involved in great events in the early part of 2019. They have great new material in the works also... Guarded which is very emotive and draws the listener into the heart of the song. Sapphire Waves swirls around with great joy and an infectious beat. They started gigging together early 2017 and play great original material as well as some brilliant covers. They made it to no.9 in The Scottish New Music Global Chart this January 2019 with the great song Let’s not pretend. In June 2018 they made it no 5 with The Streets. Both tracks were written by Scott Hewitt and Scott Nicol (Possibility Screams) with Kirsty getting in on the act with her first attempt at songwriting on Let’s not Pretend. They played the fantastic Minstrels and Mayhem 2018 in August at Dundonald Castle and Prestfest the same weekend. They played Live@Troon early September and got a great reception and fantastic reviews from the audience. I am sure they gained new fans. Elaine Lamb played their tracks on Heat FM New York and Sparkle FM which is just fantastic. They played a storming set in October at TamFest in Ayr and they were just brilliant at The Saltire Awards in the Horizon Hotel Ayr in November. They had a busy weekend as they also played the Newmarket St street party in Ayr for Steven Brown Artist. Gavin Wallace played Let’s Not Pretend at Rugby Park on Saturday 1st December which was wonderful and they played Wildwood Winter Festival in Ayr also in December. 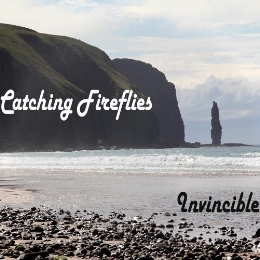 Watch Catching Fireflies grow stronger in 2019 and come along with us on this electrifying ride.